Our medical negligence solicitors are compassionate and empathetic. As experts in our field, you can rest assured that the legal service you get with us is only the best quality. We understand that suffering because of a medical professional’s mistake leaves you feeling angry and upset, which is why we’ll be here with you every step of the way, guiding you through your compensation claim to get you the best possible outcome. Has your health suffered as a result of substandard medical care or surgical error? Turn to us for specialist advice in medical negligence claims. We all expect to receive a certain standard of care from medical experts and trust that we will be treated properly and safely. However, mistakes and errors do occur, and the consequences can be serious, traumatic and even life threatening. We understand that if you’ve been made iller or been sick for longer because of a medical professional’s mistake, you just want to focus on recovering and moving forward with your life. That’s what we’re here to help you do. We know what you’re going through and want to help you come out the other side being able to look forward to your future. By helping you claim compensation, you can get on with your life without having to worry about money. We can also help you claim on behalf of a relative who has sadly passed away due to a medical error. We know that we can’t take away your grief or pain, but we can help by getting you compensated for your suffering. Hopefully, this will help you move forward. Our expert medical negligence solicitors have successfully helped many people who have suffered at the hands of a medical professional or institution. If you or a family member have suffered from an illness or injury that has been caused or worsened by a medical professional breaching their duty of care, we can help you. Our team helps people like you all the time. We have years of experience aiding victims of medical negligence, getting them the compensation they need to be able to get through such a difficult time. When you make a compensation claim with us, you’ll be able to start getting your life back on track. If you have been made iller because of a medical professional’s error then you have unfortunately been the victim of medical negligence. Sometimes it’s a minor error, but other times the impact on your life can be devastating. After experiencing medical negligence, we understand that you want to focus on recovering. That’s what we’re here to help you do. We understand that being misdiagnosed can be very distressing and leave you worrying about the future. That’s why we’re here to help you through this difficult time, with the aim of you being able to look forward to your future without panicking. Either of these types of misdiagnosis can cause chaos in your life, however we can help you. Whilst you focus on getting better, we can claim compensation to ensure that all medical expenses and loss of earnings are covered. With our help you don’t have to worry about money, so can put all your energy into getting better. Cases concerning delayed treatment are very similar to misdiagnosis cases. Our team have helped many people who have fallen ill because something like a lump or bone fracture which was easily recognisable, has been overlooked by medical professionals. In these cases the lump might be treated as a cyst, or the fracture treated as a sprain, for months before the actual problem is identified and treated. Like with a misdiagnosis claim, we want you to be able to recover stress-free whilst we get you the compensation you need. Your medical history is very important to consider when diagnosing and treating an issue. For example if you have had a severe allergic reaction to a penicillin in the past, your doctor needs to consider this when prescribing antibiotics for infections. Another example might be that you have had several cancer scares in the past, with non-cancerous lumps being removed in operations. Because of this your doctor should refer to you a specialist clinic if you find another lump. If they don’t, and it is found that the lump is unfortunately cancerous, you would be eligible to claim. Our solicitors are experts in handling cases where medical professionals have failed to consider patient history, which has resulted in harm being inflicted on the patient. If this has happened to you, we want to help you get compensated, and get your life back on track so you can look forward to the future. We know that receiving the incorrect treatment can be very disruptive and potentially harmful to your health. Incorrect treatment covers incidents such as medication or prescription errors and surgical mistakes. For example, you may be prescribed a higher dosage of medication than you need which leads to you falling ill.
Or, your surgeon might fail to effectively stitch a wound after your operation which leads to infection, causing further medical issues. We understand that incidents like these can have a large impact on your life. You might not be able to work or participate in sports like you did before. We want to help you to get compensated for your suffering so that you can focus on the road to recovery. What would be a valid medical negligence claim? 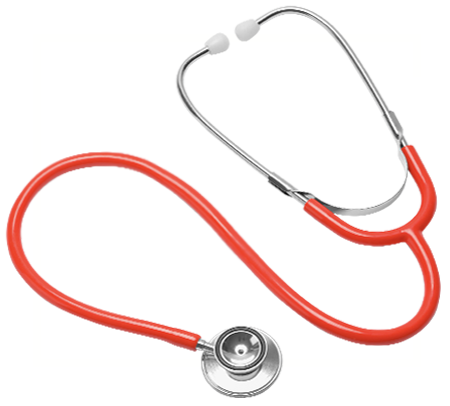 If you have been a victim of medical negligence we can help you claim compensation. Was your medical or clinical treatment within the last three years? Are you now suffering due to this negligence? Do you believe the medical professional could have acted in a way that would have prevented your injury or pain? No matter how insignificant you think your experience might have been, any form of medical negligence is unacceptable. We understand the ordeal you’ve been through, and want to help you get back on your feet and back to normal, as much as we can. We can help you to achieve the compensation you need to get your life back on track. You have three years to pursue a medical negligence claim from the date of the incident or date of knowledge of the incident, if the negligence was discovered at a later date. We will be able to start your claim promptly, gathering evidence, speaking to specialists and putting together medical records in order to present a strong case on your behalf. You can rely on us – we will always do our best to get you compensation for any past suffering, providing you with financial support for the future. We understand how scary and life-changing suffering at the hands of a medical professional can be. It might not only have an affect on your physical wellbeing, but could negatively impact your mental wellbeing too. Our solicitors handle every case with compassion and sensitivity, working hard to get to know everything about what happened to you so as to present the best case possible on your behalf. A member of our team will take the time to listen and to speak to you about your specific circumstances before providing you with their professional advice for your situation. Financial losses will be taken care of when you claim with us, so you don’t have the fear hanging over you whilst you try to get better. Your wellbeing and recovery is our number one priority, and we want to help in the best way possible. With AWH your money worries will be a thing of the past, enabling you to progress with your life with a positive outlook. Being a victim of medical negligence has an impact on your entire life, from work to social, so you don’t have to let it slide. Let our team help you get you the compensation you need to get your life back on track.